JOHNNY MARR BACKS THE MINX! Mancunian rock legend Johnny Marr leapt onto Twitter to give his huge support to fellow Mancunians The Minx. His tweet followed a controversial incident at Manchester City’s Etihad stadium last weekend which saw The Minx pulled offstage halfway through a barnstorming gig in front of celebrating City fans. Singer Chris Haddon was wearing one of the ex-Smiths guitarist’s T-shirts, with a slogan that got City officials flustered. 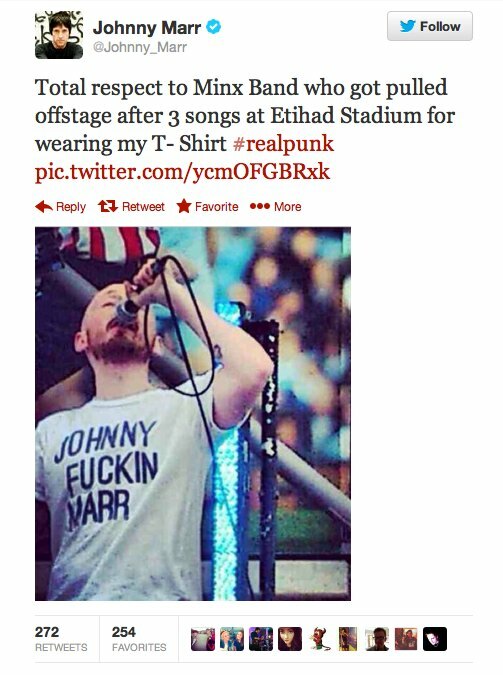 The crowd, however, were right behind the band – and quickly took to Twitter to let Johnny know what had happened. 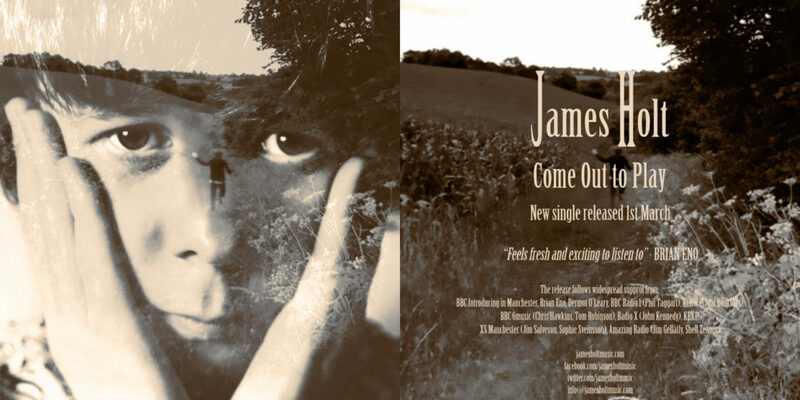 Marr then contacted the band directly, telling them how proud he was, that they’re “proper rebel rockers”, and put them on the guestlist for his forthcoming Manchester show. Xfm’s Jo Good then picked up on all the internet chatter, and spoke about the incident on her radio show! The Minx continue to sell out their live shows in the city – and have their biggest venue yet to announce for a December show soon.